Location: Northern Tien Shan, the Zailyiski Alatau Range, Big Almaty gorge, elevation 2300 meters above sea level, 3 km below the Big Almaty Lake. Time away from the airport to the hotel – 2 hours from the city center – 1 hour (27 km). 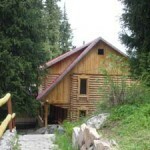 Description: The high mountain hotel is situated in a picturesque area in the mountains of the Zailyiski Alatau. The striking beauty of mountain landscapes will make your holiday at the hotel “Alpine Rose” beautiful and unforgettable! Location: Northern Tien Shan, Small Almaty gorge, elevation 2 650 meters above sea level, at 1.5 km above the complex Chimbulak. Time away from the airport to the hotel: 1, 5 hours, from downtown to the hotel – 1 hour (27 km). Description: The high mountain hotel is situated in a picturesque area in the mountains of the Zailyiski Alatau. Location: Almaty State Reserve, Talgar valley 1250 meters above sea level. 6 km from the Talgar city.